In today’s hyper-competitive job market, many businesses find they need extra help filling open executive positions. In response to all the HR news, the number of executive placement firms has exploded. However, an HR department looking to fill positions might wonder which is best. Ideally, the new hire picked will affect your company for years. So, choosing the firm that finds them is equally important. Fear not, there are a few signs to point you toward the one you need. 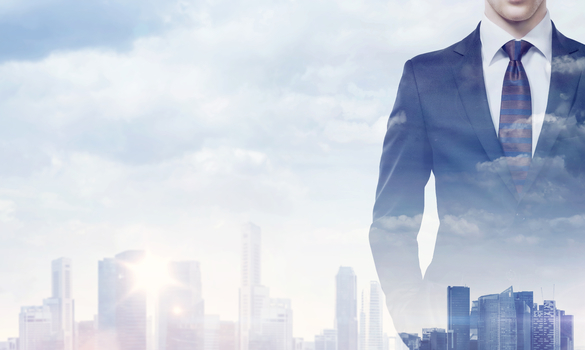 Here are critical criteria that you should consider when picking an executive placement firm. In the world of executive placement firms there are two camps, contingency firms and retained firms. The difference between the two is how they are paid. A contingency firm is only paid if you hire one of their prospects. Retained firms are paid a flat fee for their services until they find you a prospect for the position. While there are advantages to both types, retained firms are essential for executive hires. They will likely have better options. Moreover, they can provide you with other essential services, such as negotiating with prospective hires. As well, they will be more discrete and confidential. For finding executives, you simply cannot do without a retained firm. Using an executive placement firm is likely to be very expensive. In a way, hiring a firm is an investment. You’re investing in a potential rise in workforce quality. However, it doesn’t take much tip that investment from beneficial to costly. You’re likely to spend months paying the firm in question to find a candidate. So look through their fees carefully and make sure it is worth the expenditure. In the hunt for quality executive, you get what you pay for. A executive placement firm should save you time on finding a hire. Since they already have a pool of clients, the firm should produce fast turnaround. The better firms should be able to find a hire within 2 and half weeks. If the company claims they need more time, it’s likely they have a smaller pool to pull from. With the fee you’re likely to pay, you should be able to get the hire you want fast. One thing that sets the best executive placement firms apart is their data analytics. The top companies have invested considerable money into specialized databases of prospects. This keeps the firms up-to-date at what their prospects are up to and who might want a new job. This makes their screening process faster and more efficient for talent managers. It’s essential to determine if prospects from a firm are loyal to you or the firm. Prospects often form fierce loyalties to executive placement firms. The reason is understandable. The prospect might have been placed at several good jobs by the firm. However, that loyalty could be problem for your company. In particular the placement firm might keep the prospect informed of other opportunities after you hire them. Determining a firm’s relationship with their prospects and approach to managing people is key to picking a firm. It’s no good getting the perfect employee if they won’t be your employee for long. Picking the right management placement firm is essential to any hiring procedure. Since there are so many to choose from it’s key that you ask the right questions while considering. These can be simple like how you pay the firm or if its cost-effective. These questions can also be more complicated, going into how they pick and groom prospects. With these five criteria, you’ll have a much better chance of picking the right one for you.